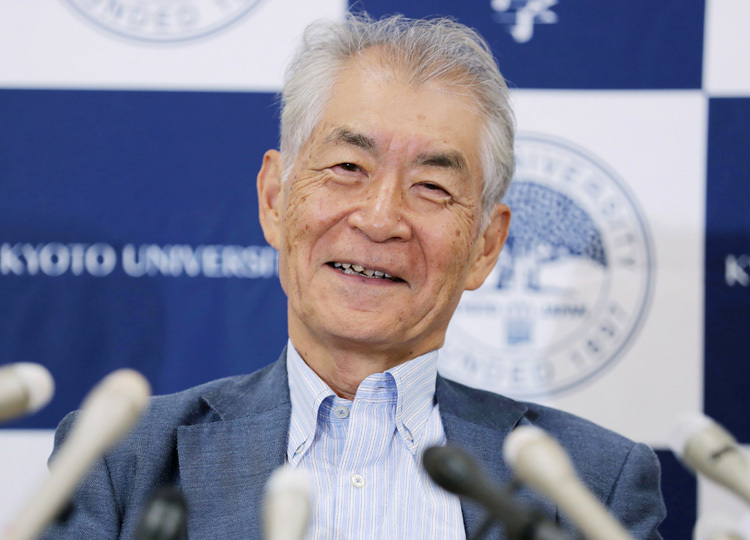 Japanese scientist Tasuku Honjo was awarded this year’s Nobel Prize in physiology or medicine on Oct. 1 for his discovery of a protein that contributed to the development of an immunotherapeutic drug against cancer. Honjo, a 76-year-old professor at Kyoto University, won the prize with American scientist James Allison, the Nobel Assembly at the Karolinska Institute said. Honjo opened a pathway for a new cancer treatment by discovering the PD-1 protein, which is responsible for suppressing immune response. “I’m very honored and pleased to receive the Nobel Prize in physiology or medicine,” Honjo told a news conference following the announcement. “I’d like to continue the study a bit more so that this immunotherapy can further assist cancer patients in the future,” he said. His method of treating cancer — by controlling the protein’s function to suppress immunity — led to the development of Nivolumab, a drug marketed as Opdivo and used against lung cancer and melanoma.